Need a repair? We'll take care of it! Do the job right, every time. Locally owned and operated, Gene's Heating & Air, LLC builds lasting relationships with our customers and have expanded through word-of-mouth recommendations. Unlike the majority of our competitors, our technicians are educated and certified in their field, trained to exacting levels, consistently updated, and adhere to strict procedures. Don't settle for anything less! With over four decades of service across Clarendon County, Sumter County and Orangeburg County, Gene's Heating & Air, LLC targets the unique comfort requirements of local homeowners. 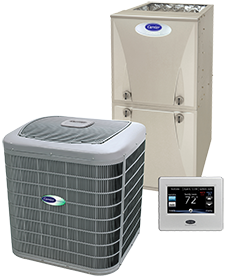 We recognize the challenge of maintaining perfect, year round, indoor temperatures, without draining your budget. You need quality equipment, operating at its best, season after season. 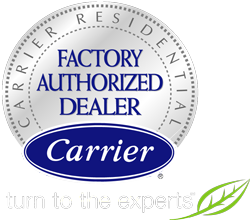 As a Carrier Factory Authorized Dealer, Gene's Heating & Air, LLC offers a complete line of state-of-the-art heating options, including packaged and split heat pumps, gas furnaces, and air conditioners, bringing you the latest innovations and convenient features. We handle every aspect of installation/replacement and ongoing services with the superior job performance that enhances performance, efficiency, and long-term rewards. By providing dedicated customer service, skilled workmanship, and ethical business practices, Gene's Heating & Air, LLC simplifies your temperature control requirements. Every project is completed with prompt appointments, punctual arrival, and conscientious site management. For repair, maintenance, and installation of your heating and cooling systems, call Gene's Heating & Air, LLC today! When you contact Gene's Heating & Air, LLC at (803) 505-4822, you can always count on a licensed, bonded, and insured professional showing up at your door, fully prepared to resolve any challenge. And we are always on call to assist you, with 24/7 Emergency Service throughout Manning, Sumter & Santee, SC.